1. Never pay to fill out the FAFSA (the first “F” stands for “Free”). The best way to avoid that mistake is to go straight to the source and complete your FAFSA here, at the office of Federal Student Aid. I’ve noticed a lot more family awareness around the potential perils of taking on too much student debt to attend college. That caution is a good thing. But some families use that debt reluctance as an excuse to not apply for financial aid. That’s not good at all. 1. Each college will send you its own financial aid package. 2. That aid package can contain grants (free money that doesn’t need to be paid back) and work study programs in addition to loans. 3. You retain the right to accept pieces of the package and to decline others. Submitting a FAFSA doesn’t mean you’re agreeing to take on debt. All you’re doing now is raising your hand and availing yourself of possible financial assistance to attend college, none of which will you later be obligated to accept without choice. The choice about debt and how much—if any—to take on is different for every family. But the choice about whether to apply should be clear. You risk nothing other than time in filing your FAFSA. But you risk the loss of potential aid, including free money, if you don’t file. The risk of skipping out is missing out. Here’s an excellent primer on how to pay for college, courtesy of the one-and-only Mark Kantrowitz. According to a study published in Research in Higher Education, students who don’t file the FAFSA forgo an average of $9,741 in aid. Senior families, the FAFSA goes live today, October 1. Every student applying to college should file one (a recommendation shared by every trusted financial aid expert and college financial aid officer). And the earlier you file, the more likely you are to get aid. Don’t wait. Don’t make excuses that you’ll never get enough to afford college or that you won’t qualify at all. Assumptions like those lead to inaction, which only increases or even guarantees that you won’t get aid. It’s not your job to evaluate your financial aid qualifications. That’s a job for the financial aid officers. Please file the FAFSA and let them do their jobs. Financial aid expert Mark Kantrowitz has earned laudable trust in the education space for his willingness to share great advice for free. And with the posting of his latest piece, “Top 10 tips to growing your 529 plan funds faster,” I decided to put one piece of that advice to the hypothetical test. 8. Save the spare change. Every day, dump your spare change in a jar or jug. Every so often, contribute the contents of the change jar to your 529 plans. You’ll be surprised how quickly pennies, nickels, dimes and quarters add up. Here’s the change jar that’s occupied the same spot in my house since my wife and I moved in five years ago. It’s taken that long to get even this full, mostly due to the advent of debit-cards-accepted-everywhere. Today, I decided to count the contents. Total amount? $26.33—91 quarters, 45 nickels, and 133 pennies (plus a few Canadian coins and three tokens from a local car wash that did not figure into my calculation). If we continued to accumulate spare change at the same rate, we’d have about $79 by the time my now 3-year-old starts college. But based on this college savings calculator, if we put that current amount into a 529 plan along with all future spare change as it arrived, we’d have approximately $179 saved for college. 100 extra dollars, just by ditching the glass and investing our (spare change) cash. Now, I realize that $179 isn’t much when crashed against the expected cost of college in 15 years. But that figure is based on saving about 44 cents a month. Imagine how much you could save just setting aside $100 or $20 or even $5 from each paycheck. Even spare change adds up. And it adds up even faster when invested with compound interest. Students applying for financial aid this fall will have the option of using the newly released “FAFSA App,” available on both Apple (iOs) and Android devices. The full version will be available on October 1, 2018 to coincide with the release of the 2019-2020 FAFSA form. That’s mostly good news, but I’d also suggest using the app with appropriate caution. The ability to fill out the FAFSA on a phone will likely increase the number of families who successfully complete the application, a statistic I hope will be especially notable for under-resourced students. You won’t get the financial aid you need to attend college if you don’t file the FAFSA, so anything that gets more students to apply is worth doing. But much of how phones are used today is for distracted time-killing–scrolling, “liking” and “disliking,” consuming information while we wait for the bus or the restaurant table or the signal that our doctor is ready to see us—so, we need to make a mental switch when we use our phones for something important. If you complete your FAFSA on your phone, please make the switch. The app doesn’t change the fact that the FAFSA contains over 100 questions, which is even more than appear on your federal tax return. If you submit the form with incorrect information, you can correct it later. But that slows down the process, adds to your stress, and for some students, could make the difference between ultimately submitting an app and just throwing in the FAFSA towel. Whether you complete the FAFSA on a desktop, a laptop, or the snazzy new app, please give the form the time and even more importantly the attention it deserves. There’s a reason you wouldn’t want to take the SAT in a loud room with the TV on and friends or family asking you questions while you crunched the numbers. Your FAFSA completion deserves the same quiet focus. 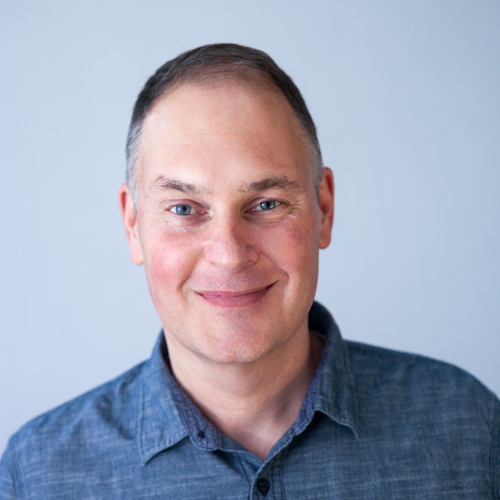 For some good insight and tips on how to best use the app, here’s a piece from The National College Access Network and another from the imitable Mark Kantrowitz. For students applying to college for the fall of 2019 term, the FAFSA (Free Application for Federal Student Aid) becomes available on October 1st. And while students have until the following spring to submit the form, according to the experts at savingforcollege.com, those who submit the application within the first three months after it becomes available are awarded twice as much grant money—that’s free money that does not need to be paid back—on average as those who submit the application later. There are some helpful steps you can take now to get prepared for the October 1 opening, and trusted guru Mark Kantrowitz offers an excellent guide to them here. For divorced parents, paying for college can present additional complexities, including navigating the financial aid system. This article, which quotes expert Mark Kantrowitz liberally, explains the basics and lays out some good advice for parents to consider. 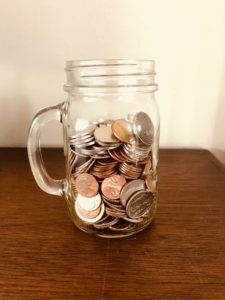 A few weeks ago I shared Mark Kantrowitz’s advice about how much to save for college, but paired it with some of my own for families who hadn’t started saving as soon as they would have liked. Today, Kantrowitz returns with his own follow-up for later-starting-savers, and his piece can be found here. There’s some overlap between his advice and mine, particularly around embracing the idea that it’s never too late to start saving and that applying for financial aid is a must-do for every family no matter how much or little you’ve saved. But Kantrowitz has always been my go-to resource for learning and understanding how to navigate the financial aid process, and I’ll default to sharing his advice here as frequently as he can churn it out.